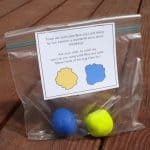 You are here: Home / Learn / Literacy / Children's Books & Activities / Squirrel Craft for Kids Inspired by Nuts to You! 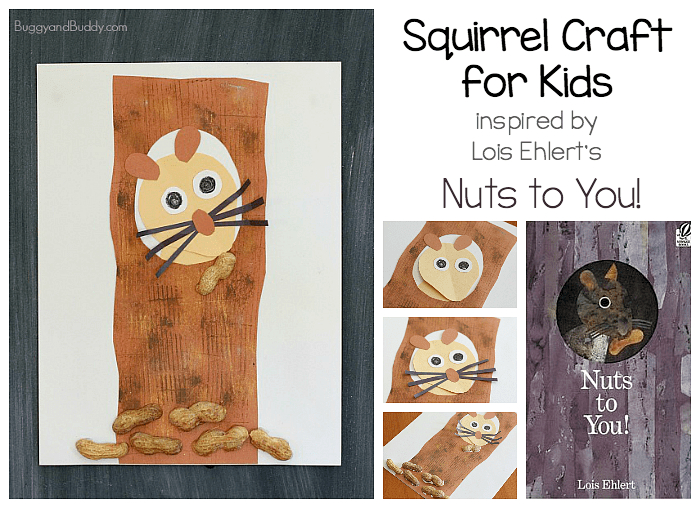 Squirrel Craft for Kids Inspired by Nuts to You! 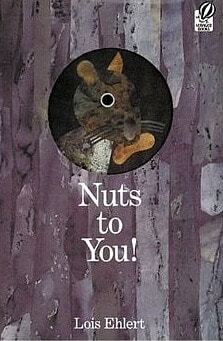 Nuts to You! 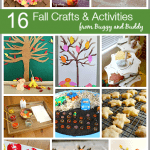 by Lois Ehlert is one of our favorite children’s books for fall! 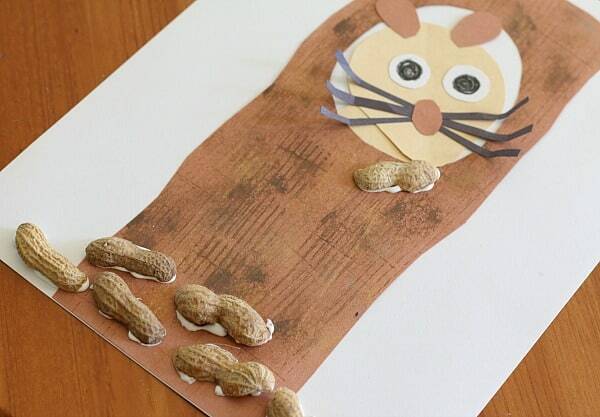 We created this squirrel craft complete with real peanut shells to go with the story. 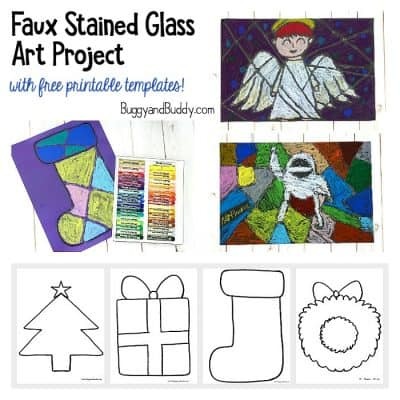 This project uses all kinds of fun art techniques and is perfect for kindergarten and on up. 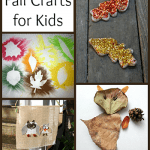 Follow our Fall Crafts & Learning for Kids Pinterest board! 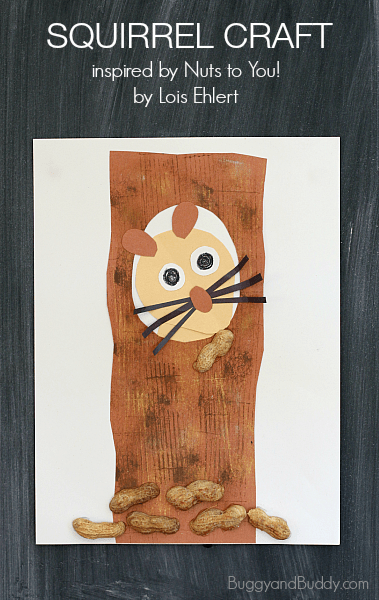 And just like all of Lois Ehlert’s books (like Leaf Man and Red Leaf, Yellow Leaf), the illustrations in Nuts to You! are so fun to look at. 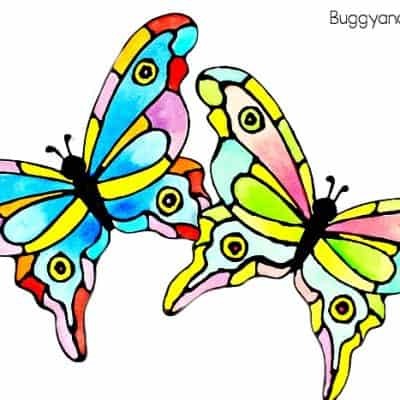 They’re so colorful and full of labeled plants and insects throughout the story. 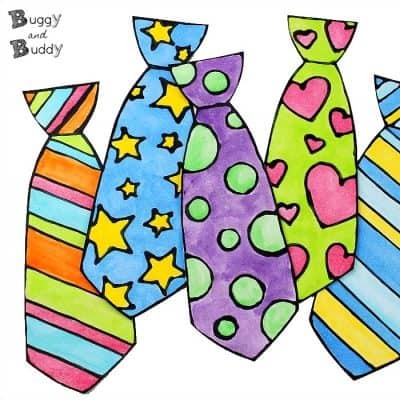 The text is also full of rhymes making it great for young children. 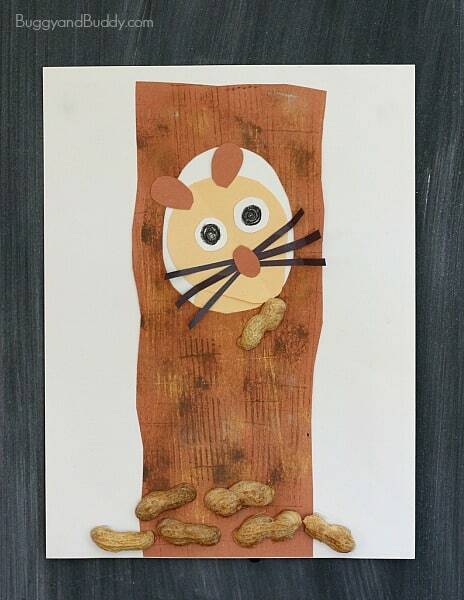 Because we just love this children’s book so much, we wanted to create our own little squirrel peeking out of a tree trunk just like on the front cover of the book! 1. Start by creating the trunk of the tree. 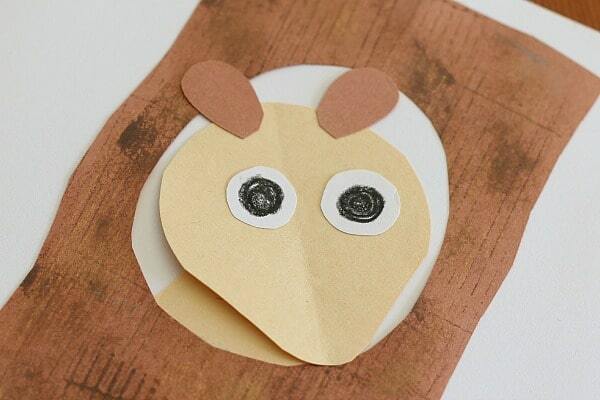 We had some corrugated cardboard sheets of scrapbooking paper to use for making stamps. 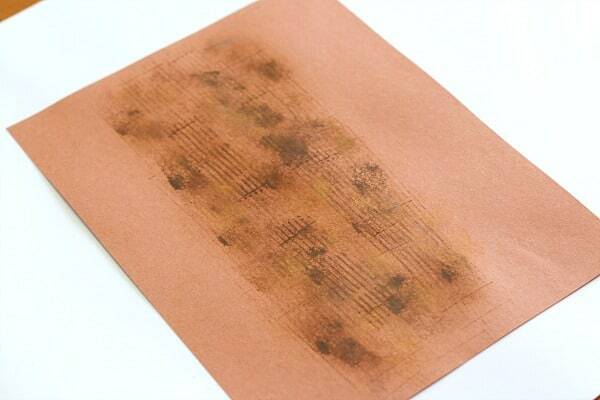 (You could use any kind of textured material to do this.) 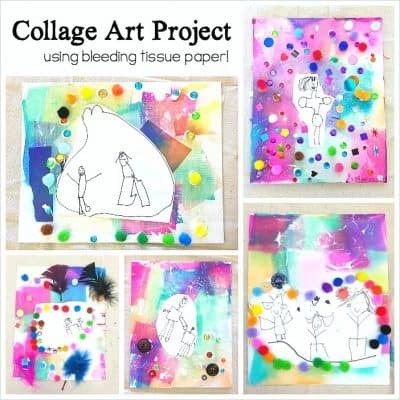 I cut them into small pieces and rubber banded them to some blocks we had to use as stamps. I also cut up some plain sponges for stamping. 4. Now it’s time to make your squirrel. 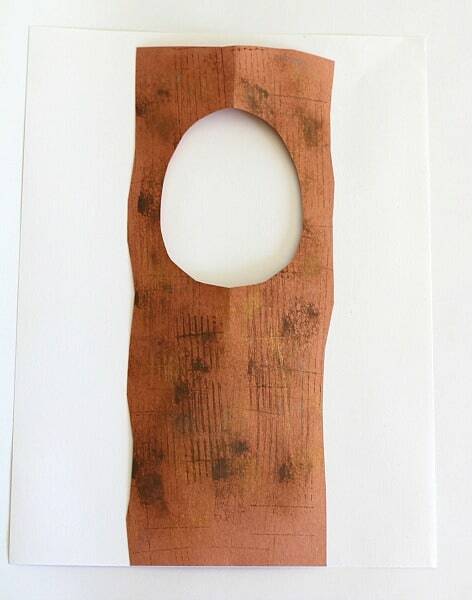 Cut out a head and neck from the manilla drawing paper. 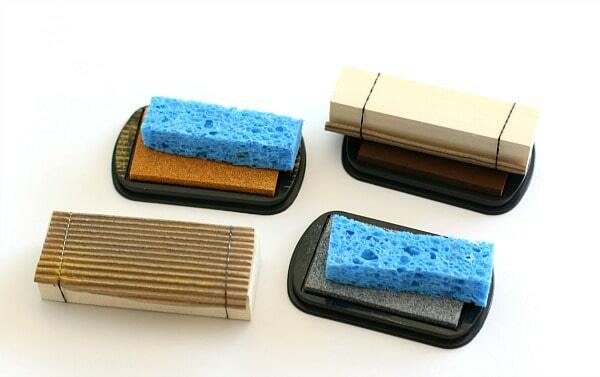 Glue them into the hole in your trunk. 5. 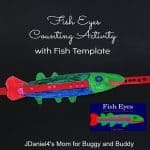 Cut out two white circles and color black dots in the center to make eyes. 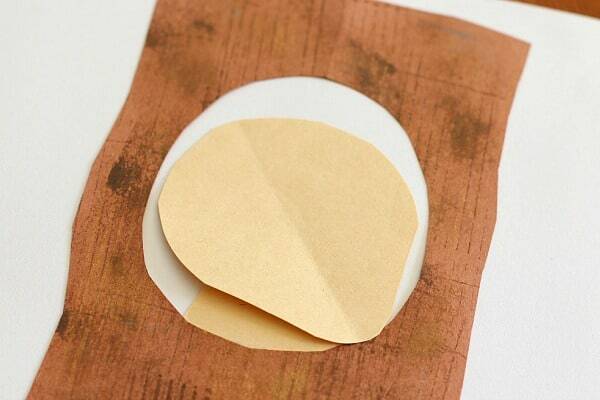 Cut out two ears from your brown construction paper. Glue all the pieces onto your squirrel. 6. 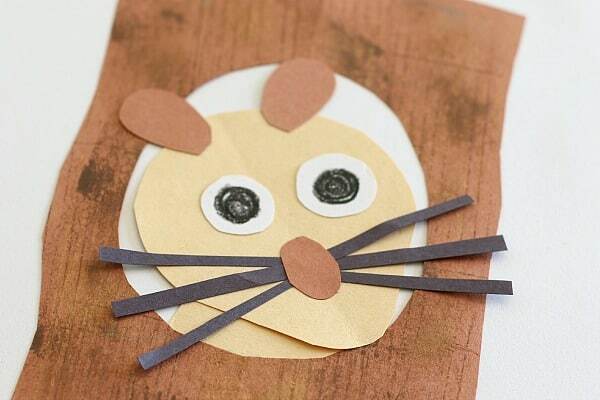 Use brown paper to make a nose and add some black construction paper whiskers. 7. 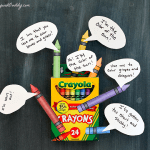 Now for the fun part- adding the peanut shells! The kids LOVED breaking open the peanut shells and eating the peanuts before gluing the shells around the base of the tree and near the squirrel! 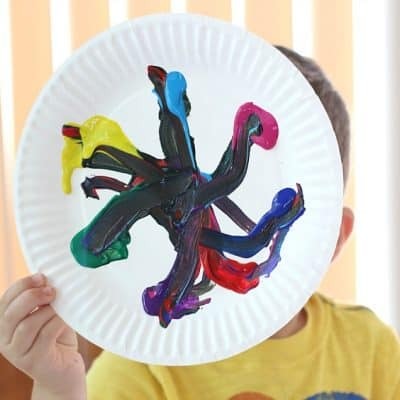 Let your picture dry, and you’re done! 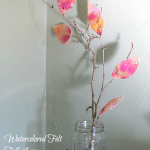 What a super cute fall craft! 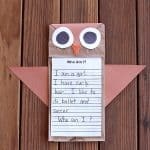 We are doing a unit on squirrels and squirrel life cycles and this would be the perfect craft to go along with our squirrel theme! 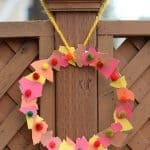 I might have the kids collect acorns and twigs and glue them on instead of the peanuts because we are a peanut-free classroom but I’m sure it will turn out cute that way too! Thanks so much for the idea!